After the monstrous statement of the previous mass extinction manifest Kommandant are ready for a new campaign. “The Draconian Archetype” , the idea of applying an older or more traditional set of values or rules to modern situations. The songs explore the concept of promoting strength, decisiveness and traditional virtues instead of coddling weakness and obfuscation. Obviously metal in general promotes stripped-down hyper-masculine concepts like war themes but that’s where the similarity generally ends compared toKommandant. 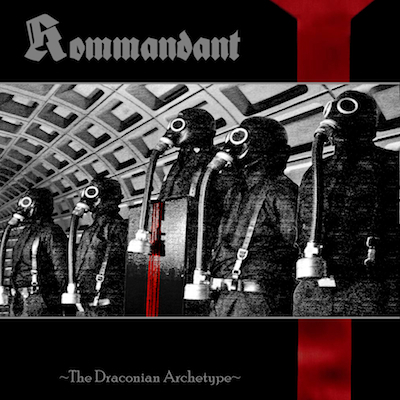 The war metal atmosphere is overcome by a more complex and arrogant intuitions, in some way the avant-garde black metal masters can be evocated, but never too strictly, Kommandant are on the mission to reawaken the primordial hunger into a modern pragmatic mind.